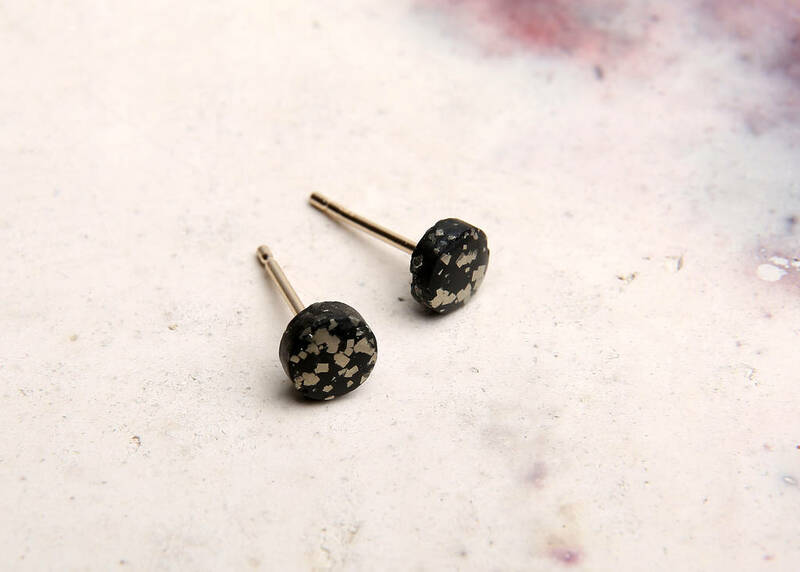 Slate pyrite stones reminiscent of the night sky. 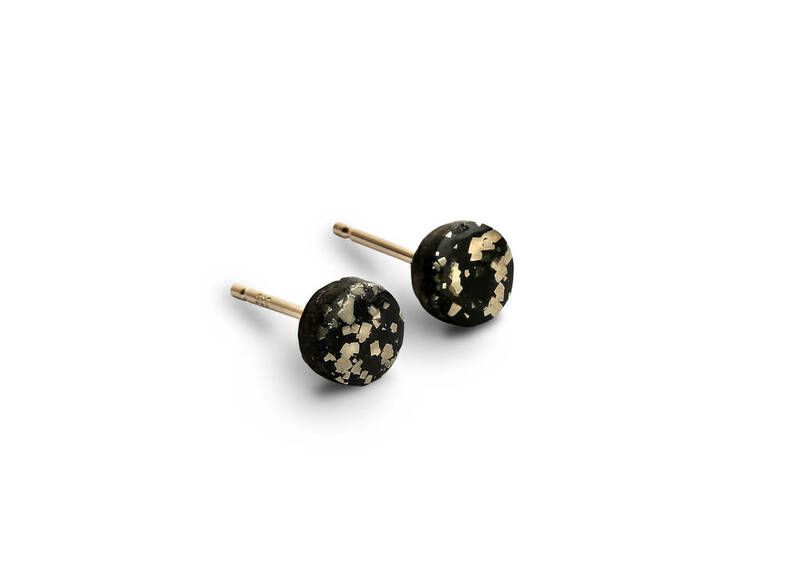 Fixed to 9ct yellow gold studs. All stones are unique and vary. This stone is available in an array of other designs. This product is dispatched to you by Taylor Black.